Spanish 10-year bond yields hit a new record low on Monday, outperforming their euro zone peers, according to Reuters. Following the resignation of the leader of Spain’s Socialists Pedro Sanchez on 1 October after losing a vote triggered by a party revolt, the move could help end Spain’s nine-month political deadlock, facilitating the formation of a new government. Sanchez had been in a stand-off with acting Prime Minister Mariano Rajoy’s People’s Party, frustrating efforts to form a government after two elections left the conservatives with the most votes but shy of a majority. Spain’s 10-year bond yield fell almost 2 basis points to record low at 0.866 percent. In contrast, yields in peripheral peers Italy and Portugal were both 1-2 bps higher on the day. Spanish yields also outperformed top-rated German Bund yields, which were flat at around minus 0.12%. 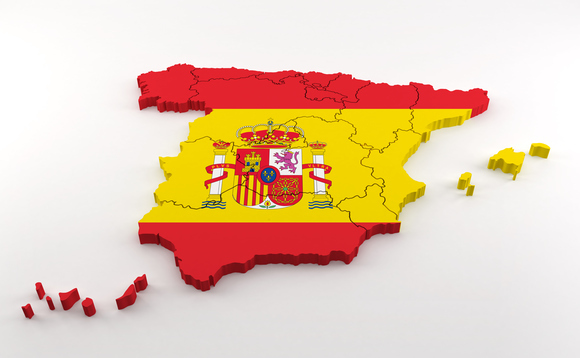 A decision by ratings agency Standard & Poor’s to affirm Spain’s BBB+ credit rating with a stable outlook late on Friday also helped to lift sentiment towards Spanish bonds. S&P said the stable outlook reflected a view that momentum in the economy would continue. “Our ‘BBB+’ long-term rating on Spain reflects our view of the country’s strong and balanced economic performance compared with that of its eurozone peers, offset by its high external and public debt burdens, and its weak recent fiscal track record and political uncertainty,” the rating agency said. “Spain has made considerable progress in rebalancing its economy over the last several years, alongside the implementation of critical reforms to shore up financial stability,” it said. Reflecting this progress, by the end of this year, the size of Spain’s economy, in real and nominal terms, will have returned to pre-2007 crisis levels. For 2016, S&P projects real GDP growth of 3.2%, before moderating over 2017-2019. “We expect that domestic demand will be the key driver of the recovery, but unlike before 2007, when Spain’s current account deficit peaked at 9.6% of GDP (the world’s second highest in absolute terms at the time), Spain’s economic growth is no longer being financed from abroad,” S&P said. This year’s growth is also being supported by strong export performance, in particular by exports of goods and nontourism services, especially professional services.